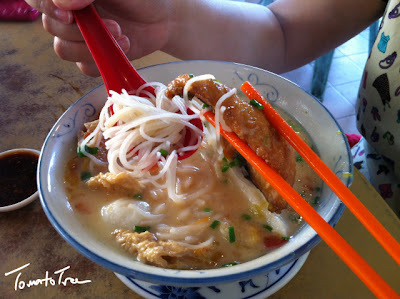 I just mentioned in my previous post about "Ah Ing Fish Head Noodle" my favourite fish head / fish mix noodle in KK. 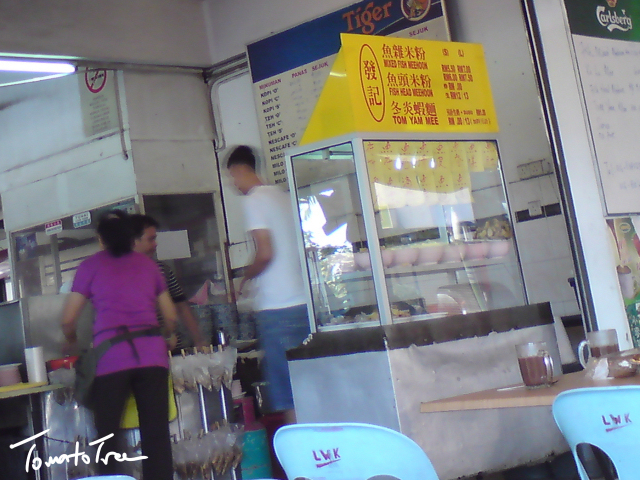 Here is another one: Fatt Kee (发记）at Hilltop, around Luyang. Sorry to make you confuse (if you do) with my blog title, let me explain here: Fatt Kee is a food stall under Jin Jin Seafood Restaurant (few years ago its called Lee Wong Kee Seafood Restaurant). Fatt Kee only opens for breakfast and lunch, then Jin Jin Seafood takes over for dinner. 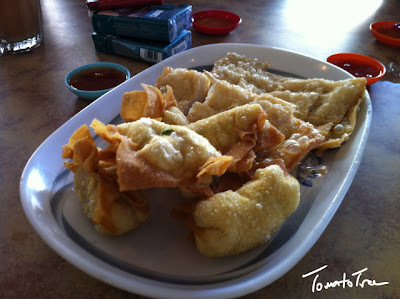 Fatt Kee provide every parts of a fish, some of them won't appear in our ordinary menu! For example, fish intestine, fish skin, fish lips (yeah, you got a chance to kiss a fish! 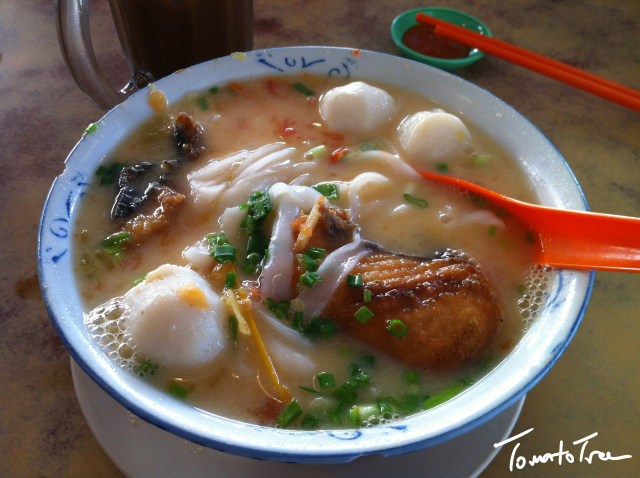 ), fish eye balls and fish eggs! I don't want my breakfast to be too exotic, so normally I will just order Fried Fish Meat, Fish Tofu and Fish Ball with meehun, cooked in tomato soup. 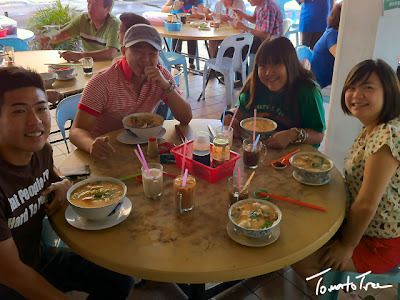 This sourly and rich tomato soup taste so good that I would finished the soup first before clearing the meehun! 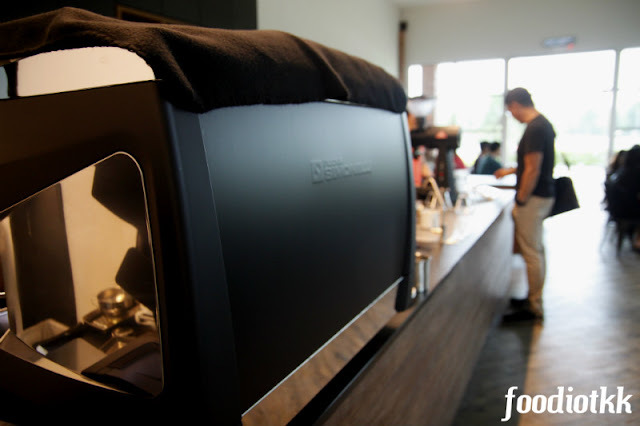 Price starts from RM8++ , depending on the add-on! LOCATION: Look for Jin Jin Seafood Restaurant just beside the 6 storey Wisma Prudential at Hilltop, Off Jalan Lintas, Luyang, Kota Kinabalu. BUSINESS HOUR: Starts around 7am, finish before 2pm. this one halal or not ? Hi Aliya! Not certified Halal but serve no pork.